Howard was my best friend in science. He was all that is good in a highly successful scientist, enjoying all aspects of the scientific career, the rigorous science, the arguments, the competition, the sharing, the conferences, the parties and, in everything, the potential for fun and for laughter. To be teased by Howard during a formal scientific presentation was itself an accolade worth working for. His typical last text to me [responding to my text, offering sincere but effusive congratulations on his Knighthood]: "Thank you for that appropriately grovelling message". Published review of his work: C. Anthony (2008) Science Progress, Volume 91, 401-415. Brief summary: Sir Howard Dalton, FRS was a British microbiologist. He was the Chief Scientific Advisor to the UK's Department for Environment, Food and Rural Affairs (DEFRA) from March 2002 to September 2007. Born in New Malden, Dalton was educated at Raynes Park County Grammar School and Queen Elizabeth College, University of London (now part of King's College London). He graduated in 1965, and went on to study at the University of Sussex with Professor John Postgate, obtaining his doctorate in 1968. He worked as a postdoctoral researcher at Purdue University and the University of Sussex before joining the University of Warwick in 1973 as a lecturer in Biological Sciences. He became a Professor in 1983. His main field of interest concerned the physiology, genetics and biochemistry of methanotrophic bacteria. He served as Chair of Biological Sciences at Warwick from 1999 to 2002 before being appointed to DEFRA. He returned full-time to the University in October 2007, and continued working there until his death. He was elected a Fellow of the Royal Society in 1993, was President of the Society for General Microbiology from 1997 to 2000, and was awarded the Leeuwenhoek medal lecture of the Royal Society in 2000. He was named a Knight Bachelor in the 2007 New Years Honours list. He was President of the Marine Biological Association from 2007 to 2008. He died suddenly in Royal Leamington Spa on 12 January 2008. It is with very great regret that the University has been informed of the sudden and untimely death of Professor Sir Howard Dalton on Saturday 12th January 2008 in Leamington Spa. Following a D. Phil. at the University of Sussex and postdoctoral work in the USA and Sussex, Sir Howard joined the University of Warwick in 1973 as a lecturer in the Department of Biological Sciences. His pioneering work, particularly on methane oxidation brought him international recognition and he was promoted to a personal Chair in 1983. Sir Howard's career brought him countless accolades including election to the Royal Society in 1993, election as President of the Society for General Microbiology from 1997 to 2000 and the award of the Leeuwenhoek Medal lecture of the Royal Society in 2000. Sir Howard was appointed Chair of the Department of Biological Sciences from 1999 to 2002 when he was seconded to become Chief Scientific Advisor to the Department for Environment, Food and Rural Affairs. In his position as Chief Scientific Advisor Sir Howard was instrumental in raising the profile of climate change as a significant global threat and delivered many lectures on that, and other important issues of the day, at many international fora. He also led the scientific advisory team to generate the UK contingency plan for dealing with the threat from avian influenza virus. Throughout the period of his appointment at DEFRA Sir Howard maintained strong links with the University, returning every week to run his research group. Sir Howard was knighted in the 2007 New Years Honours list for services to science and returned full time to the University in October 2007. As well as the many positions that Sir Howard held in the University dealing with academic matters he was also instrumental in other areas of University life. In particular, his enthusiasm for, and extensive knowledge of, Japanese gardens resulted in the University creating two such gardens. Sir Howard was an immensely popular member of the University at all levels. His natural good humour and forthright approach garnered many friends both here and elsewhere. Sir Howard is survived by his wife Lady Kira and four children to whom we send our heartfelt wishes for their, and our, sad loss. Howard Dalton was one of the most distinguished and influential microbiologists of his generation; his pioneering work on the biology of methane oxidation brought him early international recognition. He studied the structure, function and regulation of enzymes in bacteria responsible for consuming methane in the environment, which help to mitigate the effects of global warming by this greenhouse gas. He opened up a new area of research into methane monooxygenase and related metal-containing enzymes and was considered to be one of the best scientists worldwide in his field. Dalton was also quick to realise the potential of microbes for the production of chemicals on an industrial scale using biotransformation, which yielded many seminal publications in a career generating more than 250 scientific papers. He was highly respected and popular, and discussing science with him was always immensely rewarding. Dalton was born in New Malden, Surrey, the son of a lorry driver. He was highly intelligent, with an enquiring mind, and his early interest in science was evident from his many exploits with cocktails of chemicals, which often had explosive consequences. Having survived these early "laboratory" experiments, Dalton was eager to learn more and his mother was extremely proud of him passing the 11-plus and attending Raynes Park Grammar School. After school, Dalton was awarded a place at Queen Elizabeth College, London University, and graduated in 1965 with a BSc in Microbiology. His research career started when he undertook a DPhil with Professor John Postgate FRS at the ARC Unit of Nitrogen Fixation, Sussex University, where he worked on nitrogen fixation in the soil bacterium Azotobacter. Dalton then worked for two years as a postdoctoral fellow with Professor Len Mortensen at Purdue University, Indiana, on the biochemistry of nitrogenase in the anaerobic bacterium Clostridium. It was in the United States that he met his future wife, Kira Rozdestvensky. Recognising that physico-chemical spectroscopy techniques were going to be of great importance in studying metal-containing enzymes, he returned to Sussex University in 1970 to work with Professor Bob Bray on molybdenum enzymes. Dalton married Kira the following year and they settled in the village of Radford Semele near Leamington Spa when Professor Roger Whittenbury persuaded Dalton to take up a lectureship in Microbiology at the Department of Biological Sciences, Warwick University in 1973. It proved to be the start of a long and illustrious tenure there. 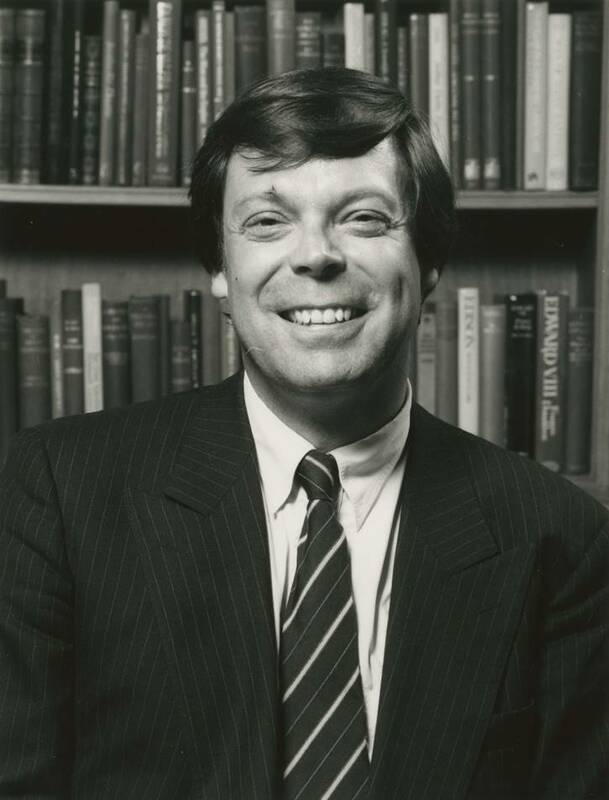 Dalton built up a large research group at Warwick and was awarded a Personal Chair in 1983. His groundbreaking work on enzymes involved in bacterial oxidation of methane, methane monooxygenases, brought him a much-deserved international reputation and opened up a whole new research field in microbiology. He also made extremely important contributions to research into the use of microbes to produce chemicals, which stimulated his great interest in biofuels. He was a down-to-earth, self-effacing man, outgoing and extremely generous of his time with well over 100 PhD students and postdoctoral researchers. Above all else, he made science fun and was an inspirational mentor and a much-loved colleague. His penetrating questions and insightful comments always made for lively and stimulating debate. As his scientific career flourished, he received many accolades, including election as a Fellow of the Royal Society in 1993, appointment as President of the Society for General Micro-biology, 1997-2000, the award of the Leeuwenhoek Medal Lecture at the Royal Society in 2000 and a knighthood in the New Year's Honours list in 2007. He was Chair of Biological Sciences at Warwick, 1999-2002. His enthusiasm and knowledge of Japanese gardens resulted in the creation of two such gardens at the university. In 2002, Dalton was seconded to become Chief Scientific Adviser to Defra, a role in which he sought to instil scientific rigour into policy making. He led the scientific advisory team generating the UK contingency plan for dealing with avian influenza virus and was instrumental in raising the profile of climate change as a significant threat, delivering lectures on this and other topics such as biofuels and GM crops. Dalton was a great communicator and wrote an immensely entertaining and popular blog describing his two-week visit to the British Antarctic Survey in 2006 where he observed at first-hand the effects of global warming on icefields in Antarctica. Throughout his time at Defra, Dalton maintained strong links with the university, returning each Friday to look after his research group. He returned full time to Warwick in October last year and had recently delivered lectures on science policy to final-year undergraduates with his usual passion and engaging style. 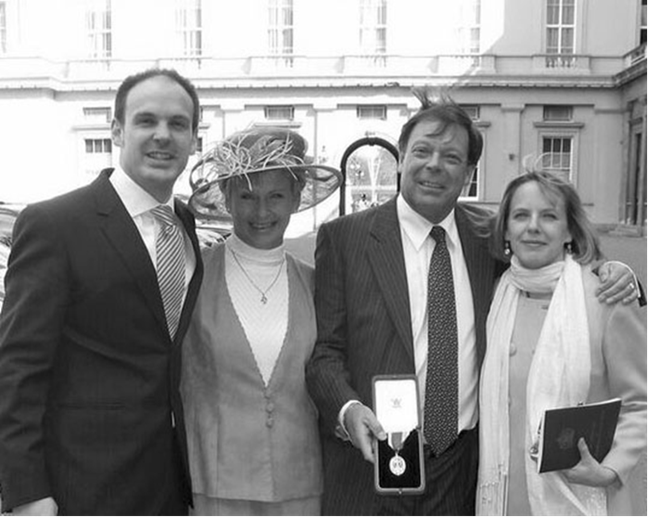 Dalton had an immense zest for science and life in general and was a fine sportsman in every sense of the word. In his early days at Warwick he was a regular in the Rowington Village cricket side; a fiery fast bowler and very useful left-handed batsman. He was a lifelong Spurs supporter and a highly competitive member of the Biological Sciences football team, aptly named "Biohazard". Another great passion of his was Real Tennis and he was a member of Leamington Real Tennis Club where his competitive spirit and ability won him many tournaments. It was here, while playing in a friendly doubles tournament, that he collapsed and died. He had just returned from a month in The Gambia assisting his wife Kira in her extensive humanitarian work, setting up new schools and medical centres. He was also lending his considerable expertise to the Gambian government on a number of important environmental issues. Howard Dalton, microbiologist: born New Malden, Surrey 8 February 1944; staff, Warwick University 1973-2008, Professor, Department of Biological Sciences 1983-2008; FRS 1993; Chief Scientific Adviser, Department for Environment, Food and Rural Affairs 2002-07; Kt 2007; married 1971 Kira Rozdestvensky (one son, one daughter, two stepsons); died Leamington Spa, Warwickshire 12 January 2008. (c) 2008 Independent, The; London (UK). Provided by ProQuest Information and Learning. All rights Reserved. One of the foremost microbiologists of his generation, Sir Howard Dalton was appointed chief scientific adviser to the Department for Environment, Food and Rural Affairs (Defra) in March 2002 in the hope that he would bring scientific rigour — and much needed credibility — to the department. Defra had been created after the perceived failure of the Ministry of Agriculture, Fisheries and Food, still tainted by the BSE crisis of a decade earlier, to deal effectively with the foot-and-mouth outbreak of 2001. Dalton found the BSE crisis particularly disappointing, a case where PR and science had broken down: “There was a real issue over public understanding of the way the science was being used. There was a lot of sensible advice . . . but how it was being picked up and used was another issue.” To some extent Dalton had the same problem: while he made sure to channel the best available advice, often complex and contradictory, to the Government, the policy it shaped was often rather more simplistic. Dalton was born in New Malden, Surrey, the son of a lorry driver. Showing a precocious talent for science, he won a place at Raynes Park Grammar School and went on to Queen Elizabeth College at London University to read microbiology. He took his doctorate at the University of Sussex. 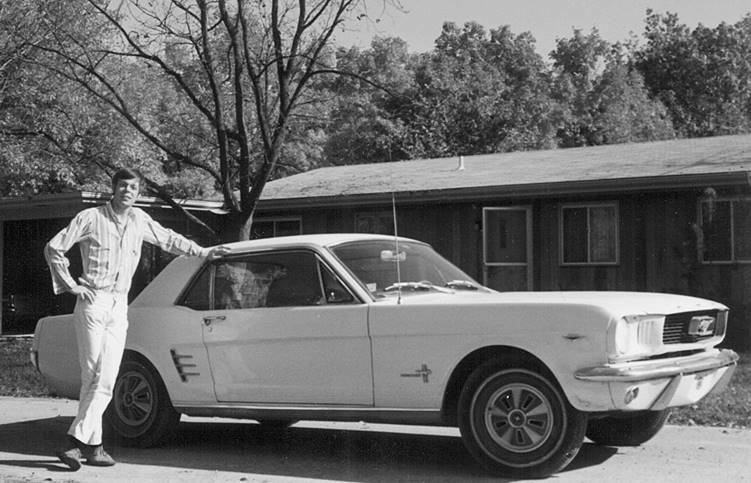 He then worked as a post-doctoral fellow,at Purdue University, Indiana, 1968-70. There, to avoid any possible risk that he might be drafted for Vietnam, he paid the Universal Life Church of California $25 to ordain him. In 1970 he returned to the University of Sussex, where he worked on methane monooxygenase — an enzyme that converts methane gas into methanol. In 1973 he became a lecturer at the University of Warwick, and continued work on the pathways used by the bacteria around plant roots to fix atmospheric nitrogen in the soil. He studied the metabolism of bacteria growing in unusual positions, using organisms isolated from the hot spring waters of Bath, high in metallic elements and methane. From this developed his interest in biotransformation; in particular, ways of harnessing the power of biological and biochemical pathways and using them in industrial processes. He was appointed Professor of Microbiology in 1983. At Defra, Dalton ensured that the department had access to a broad pool of virologists and oversaw a forward vaccination centre that could be ready to act three days after an animal health scare. He formulated a policy to cope with bluetongue outbreaks and directed work to find an effective preventive vaccine, although slaughter remained the department’s primary response. Dalton’s advice was held dear by Tony Blair, who shared his feelings on genetically modified foods. Although Dalton initially felt that the country was being steamrollered into accepting large-scale trials of GM crops without a calm assessment of the impact, he came to see public hostility as a blow to British commercial science, which had been the world leader in this field. Always emphasising that GM crops were never going to be “wholly good nor wholly bad”, he insisted that Britain would one day grow GM crops in a properly controlled environment, and hoped that this could be as early as 2009. In the spring of 2005 Dalton joined Defra’s Committee on Radioactive Waste Management, which was suffering the fallout of wrangles and resignation over what to do with Britain’s nuclear waste. Again his remit was to apply proper science — and human reasoning — to a deeply divisive and politicised subject. Dalton was idealistic and had a talent for making complex ideas seem straightforward, but the science he loved to see “presented in a forum in which it is open to challenge” was subject to a government department increasingly sensitive to such challenge. This paradox could never be fully resolved. Dalton’s work for Defra was rarely regarded as pure science by the media or by a public steeped in cynicism after a decade of “spin”. Each successive BSE scare was seized upon, quite unfairly, as evidence that Defra’s science was as flawed as ever, and the H5N1 strain of bird flu, which reached the Netherlands in 2003, required him to advise and reassure the public repeatedly. This backfired in October 2005 during a technical briefing that concerned a parrot that had died in quarantine. It was assumed to have contracted the virus from some Taiwanese mynah birds, a “working hypothesis” that angered the Taiwan Government. When it transpired that there might be two dead parrots, and that Defra was unsure which had died of H5N1, the episode seemed even more Pythonesque. Neither Dalton nor the Chief Vet, Debby Reynolds, could tell their audience of Conservative front-benchers which clade, or sub-type, of the H5N1 virus family was responsible — an important point since the type deadly to humans had never been found in Taiwan. Such confusion reminded newspapers of the case of Georgina Downs, whose case against the Government for pesticide spraying near her home in Chichester was turned down by the Minister for Rural Affairs after taking advice from Dalton, although Dalton said in August 2004 that Downs’s evidence had never been passed on to him. Climate change was a perennial theme during his five years at Defra. In January 2006 he went with the British Antarctic Survey to inspect first-hand the effects of climate change on the ice sheets. He concluded that: “There is no doubt on a global level we’re not doing enough to tackle climate change.” He insisted, however, that he was hopeful, and that “science and technology can help us to curb our greenhouse gas emissions and still allow us to live in a modern society”. Dalton did not go along with all government ideas on the environment and green energy, some of which he regarded as faddist and impractical. When asked about plans for wind turbines, which he had always regarded as too expensive, he said: “Do we really want windmills all over the countryside and covering swaths of the ocean? I don’t think so. They are a hell of a bloody eyesore.” Dalton was unafraid of controversy and, a lifelong believer in the potential of biofuels, gave his backing to David Miliband’s plans, as Secretary of State for Environment, Food and Rural Affairs, for turning over land to fuel crops. This angered other scientists, particularly Professor Roland Clift, the founding director of the Centre for Environmental Strategy, who told a seminar of the Royal Academy of Engineering that the whole idea was a “scam” that would create more greenhouse gases than it removed. Dalton remained committed to Warwick university for more than 30 years, giving his name to a research group, and to the cause of proper funding for scientific research. He was elected a Fellow of the Royal Society in 1993, and was president of the Society for General Microbiology, 1997-2000. He was awarded the Royal Society Leeuwenhoek medal lecture for 2000, and was knighted in the 2007 New Year’s Honours List. With his wife, Kira, whom he married in 1971, he was in the process of building a medical centre in The Gambia, and innoculating its children against malaria. The couple had helped to construct six schools in the country. His great passion was for real tennis, and he died during a game on the courts at Leamington Spa, Warwickshire. He had long-standing arterial problems, and had suffered a heart attack on the courts on his 48th birthday. His wife survives him, along with their son and daughter and two stepsons from his wife’s previous marriage. Professor Sir Howard Dalton, who died on Saturday aged 63, rose from humble beginnings to become a hugely influential microbiologist with particular expertise in the fields of global warming, bio-fuels and animal disease, such as foot-and-mouth and avian flu. When he was appointed as Defra's Chief Scientific Adviser to the government in 2002, soon after the catastrophic foot-and-mouth outbreak, he was deeply critical of what he termed "government policy-making led by Sun editorials", and instead instigated a string of commonsense scientific measures which ensured that any further outbreaks of the disease were contained within a small area. He was not afraid to voice forthright views and, to the consternation of his political masters, was highly critical of government plans to conduct widespread genetically modified crop trials, claiming that the potential environmental impact of these had not been properly thought through. Howard Dalton was born at New Malden in Surrey on February 8 1944, the son of a lorry driver. An inquisitive, highly intelligent child, he was fascinated by science from an early age and enjoyed staging his own experiments, often with unpredictable results. He horrified the family when, aged 10, he was mixing a cocktail of chemicals in a dustbin which promptly exploded, though against the odds he and the family escaped unscathed. In his late teens, shortly before he was due to have a passport photograph taken, a laboratory experiment got out of hand and the blast singed his hair and eyebrows. The evidence of the explosion remained visible on the photo for the next decade. Dalton also showed early entrepreneurial flair, buying an old-fashioned printing press at the age of 14 and developing a lucrative sideline, producing circulars and wedding and party invitations - particularly popular as he slightly undercut established printing firms in the area. His ambitious mother was the guiding influence of his childhood and she was enormously proud when he passed the 11-plus to gain a place at Raynes Park Grammar School. Despite his father's attempts to make him leave school at 14 to take up a trade like his brother, who became a skilled carpenter, Howard was eager to continue his academic studies. Thanks to his mother's support, he became the first member of his family to go to university when he won a place at Queen Elizabeth's College at London University. After graduating in Microbiology, he began post-graduate research at the University of Sussex and gained his doctorate in 1968, then moved to Purdue University in Indiana for two years to continue his research into microbes and nitrogen fixation. A lively, outgoing man, he embraced American culture with gusto, frequently hosting convivial gatherings such as Superbowl parties for his colleagues. He was also active in the anti-Vietnam War protest movement and it was through this that he met his future wife, Kira Rozdestvensky, a Russian-American management consultant. She advised him that he risked being called up, and suggested an unusual way to avoid the draft - by becoming a priest, one of the categories exempt from military service. Dalton discovered a little-known religious group called the Universal Life Church of California which for $25 would "ordain" anyone. He duly sent off a cheque and within days was delighted to learn that he was now a bona fide Minister of Religion. It became a running joke and his friends frequently addressed letters to the Reverend Howard Dalton; as a life-long atheist, he particularly relished the irony of his new title. In 1970 he returned to Sussex; he married Kira the following year, then moved to Warwick University in 1973 to take up a lectureship in Microbiology. The couple lived at Radford Semele near Leamington Spa and Dalton enjoyed intoducing his varied enthusiasms to his new wife. He was a fanatical Spurs supporter and also loved village cricket, turning out for a variety of local sides as a wayward but explosive fast bowler. Once, representing the nearby village of Rowington against admittedly inferior opposition, he took eight for 15, the highlight of his cricket career. Kira became increasingly involved in humanitarian work and after a holiday in The Gambia, the couple began to help set up new schools and health centres in remote villages, fund-raising among their friends in Warwickshire. Apart from lending his scientific expertise on problems of water supply and infrastructure, Dalton also sponsored his own football team of village youngsters, whose side rejoiced in the title Barfut Hotspur, in tribute to his north London heroes. His academic work flourished and within a decade he was appointed Professor of Microbiology at Warwick, thanks to his ground-breaking work on bio-fuels and on the potential for microbes to benefit the environment. In his research, Dalton attempted to break down the various chemical pathways that appear in bacteria and then to regenerate them outside the organism so that they could be used for industrial processes. He studied bacteria growing in extreme conditions -including those found in volcanic geysers and in the hot waters of the natural metallic springs at Bath - and this work led on to further research, exploring ways to convert the harmful gas methane into methanol, which is widely used as a bio-fuel. A down-to-earth, self-effacing man who never lost touch with his working-class roots, Dalton was renowned for his wicked sense of humour, often at his own expense. He was a quirky and engaging lecturer, much loved by his students and colleagues, although he could never resist teasing his fellow academics. He was once heard to say: "Anyone who thinks there is any correlation between high intelligence and common sense should listen to the dons at Warwick University discussing car parking allocations." He was nevertheless deeply gratified by the string of awards and honours he achieved, particularly his election as a Fellow of the Royal Society in 1993 and his appointment as President of the Society for General Microbiology four years later. He was knighted in the 2007 New Year's Honours list, thanks partly to his work as a government scientific adviser for Defra between 2002 and 2007, particularly his expertise on the impact of climate change. A great believer in popularising science, he made a two-week visit to the British Antarctic Survey for Defra in 2006 and the resultant blog of his experiences attracted as many hits from lay people as from scientists. After moving to Warwickshire, Dalton became fascinated by Real Tennis and joined the Leamington Real Tennis Club, the only one where women are still banned from membership. He won a string of tournaments and continued competing enthusiastically, despite several heart problems that required by-pass surgery. He was taken ill on Saturday while taking part in a friendly doubles tournament with three of his closest friends and was chatting with a fellow enthusiast when he collapsed and died almost instantaneously. He had just had a house built in The Gambia, where he was setting up an observatory and viewing positions for his latest hobbies, astronomy and bird-watching, which he had taken up with characteristic thoroughness. He is survived by his wife Kira, a son and daughter, and by two stepsons from his wife's previous marriage. Howard Dalton was an outstanding microbiologist who, after his remarkably productive DPhil work in the Nitrogen Fixation Laboratory at the University of Sussex, and a short period in the USA, spent his research career at the University of Warwick. He devoted himself to the elucidation of the process of methane oxidation by bacteria that grow upon this relatively inert gas as their sole source of carbon and energy. He discovered two completely novel multicomponent monooxygenase enzymes responsible for the initial oxidation of methane to methanol. He then continued to elucidate their functions, mechanisms, regulation and structures. Their wide substrate specificity led to his interest in using these and related enzymes for biocatalysis, biological transformations and bioremediation. While remaining at Warwick University he also acted as a highly appreciated Chief Scientific Advisor to the UK Government at the Department for the Environment and Rural Affairs (Defra). Howard was a highly effective scientist, a down-to-earth, self-effacing man, outgoing and witty, an inspirational colleague who above all else made science fun. Howard Dalton was born in New Malden, Surrey, the son of Leslie Alfred Dalton, a lorry driver and his wife, Florence Gertrude, née Evans. He was highly intelligent, with an enquiring mind, and his early interest in science was evident from his many exploits with cocktails of chemicals, which often had explosive consequences. In his late teens, a laboratory experiment culminated in a blast that singed his hair and eyebrows, as shown for the next decade in the passport photograph taken shortly afterwards. Dalton also showed early entrepreneurial flair, buying an old-fashioned printing press at the age of 14 and developing a lucrative side-line, producing circulars and wedding and party invitations, which were particularly popular as he slightly undercut established printing firms in the area.His ambitious mother was the guiding influence of his childhood and she was enormously proud when he passed the 11-plus examination to gain a place at Raynes Park Grammar School. Despite his father's attempts to make him leave school at 14 to take up a trade like his brother (David), who became a skilled carpenter, Howard was eager to continue his academic studies. Thanks to his mother's support, he became the first member of his family to go to university when he won a place at Queen Elizabeth's College at London University. He graduated in 1965 with a BSc in Microbiology. Howard’s research career started when he undertook a DPhil with Professor John Postgate FRS at the world-renowned ARC Unit of Nitrogen Fixation, Sussex University, where he worked on nitrogen fixation in the aerobic soil bacterium Azotobacter which led to the award of D.Phil in 1968. During bacterial nitrogen fixation, atmospheric nitrogen gas is reduced to ammonia in a reaction catalysed by the nitrogenase complex, consisting of two proteins containing the metals iron and molybdenum. This enzyme is famously extremely sensitive to oxygen, raising the question that formed the basis of Howard’s D.Phil work: How does the oxygen-sensitive nitrogenase function in bacteria in a highly aerobic environment? His approach provides an excellent example of the use of continuous culture to sort out a puzzling problem of bacterial physiology. His extensive, imaginative study showed convincingly that this problem is solved by two mechanisms: firstly, respiratory protection in which respiration is used to scavenge oxygen down to safe levels, and secondly, conformational protection in which changes in the conformation of the enzyme protects the oxygen sensitive sites. (1,2). Appreciating that a better understanding of nitrogenase would be based on a physico-chemical approach, Howard moved in 1968 to the USA to work for 2 years as a postdoctoral fellow with Professor Len Mortensen at Purdue University, Indiana on the biochemistry of nitrogenase in the anaerobic bacterium Clostridium. These studies extended his expertise in protein purification, spectrophotometric analysis and electron paramagnetic resonance (EPR) spectroscopy of metal enzymes in complex multi-protein systems, all of which supported his subsequent work on methane oxidation. A lively, outgoing man, he embraced American culture with gusto, frequently hosting convivial gatherings such as Superbowl parties for his colleagues. He was also active in the anti-Vietnam War protest movement and it was through this that he met his future wife, Kira Rostislavavna De Armitt, née Rozdestvensky, the Russian-American daughter of Rostislav Sergevich Rozdestvensky, a college professor; she was later an employment counsellor and management consultant. She advised him that he risked being drafted into the armed services, and suggested an unusual way to avoid this - by becoming a priest, one of the categories exempt from military service. Howard discovered a little-known religious group called the Universal Life Church of California which for $25 would "ordain" anyone. He duly sent off a cheque and within days was delighted to learn that he was now a bona fide Minister of Religion. It became a running joke and his friends frequently addressed letters to the Reverend Howard Dalton; as a life-long atheist, he particularly relished the irony of his new title. Figure 2. Howard embracing American culture. Recognizing that EPR spectroscopic techniques were going to be of great importance in the study of metalloproteins, Howard returned to the University of Sussex in 1970 to work with Dr Bob Bray in the Department of Chemistry on two molybdenum-containing enzymes, nitrate reductase from Aspergillus nidulans and xanthine dehydrogenase from Veillonella alcalescens. He used EPR to study the chemical environment of their molybdenum cofactors, and their flavin and iron-sulfur centres, providing insights into the enzyme mechanism and the partitioning of electrons between the cofactors in the enzyme.In October 1971 Howard and Kira were married. In the early 1970s Derek Burke had just set up a Department of Biological Sciences at Warwick University and had appointed Roger Whittenbury to a Chair to initiate microbiology there in 1972. Roger recalls that Warwick in those days was hardly a magnet for microbiologists, offering only an abandoned chemistry laboratory containing just two pieces of equipment, a broken piano and a dartboard! A year later, following a brief chat about his background and a promise that he would work on Roger’s beloved methane-oxidizing bacteria Howard was appointed to a lectureship in the Department to strengthen its microbial biochemistry and physiology in 1973, and he and Kira settled in the village of Radford Semele near Leamington Spa. This led to a long and highly successful tenure at the University of Warwick, during which his research brought him a much-deserved international reputation, yielded many seminal publications in a career generating over 200 scientific papers and opened up whole new research fields in the microbiology of one carbon (CI) compounds. Howard was awarded a Personal Chair at Warwick in 1983. Methylotrophs are microbes able to grow on reduced carbon compounds containing one or more carbon atoms but containing no carbon-carbon bonds such as methane, methanol, methylamine and trimethylamine (Anthony 1982; Trotsenko & Murrell, 2008). The end product of all anaerobic microbial degradation of organic material is methane and some of this reaches the atmosphere where it is a powerful greenhouse gas. The methanotrophs are a major group of methylotrophs, able to use methane and so clearly play an important role in the carbon cycle, diminishing the amount of methane liberated into the atmosphere, and they have become of considerable importance as they can be exploited in biotransformation and bioremediation processes. The methanotrophs are divided into Type I and Type II methanotrophs (Whitttenbury et al., 1970); this was initially based on their internal membrane systems but these types differ also in their carbon assimilation pathways, genetic systems, phylogeny etc. The reductant was assumed to be the usual metabolic reductant, NAD(P)H, but there was considerable confusion and disagreement about results in the earlier studies which was often due to the use of different bacteria, different membrane preparations, different enzyme assays etc. The obvious assay systems would involve spectrophotometric measurement of NADH disappearance, or methane- and NADH-dependent consumption of oxygen. However most cell-free preparations used membrane fractions containing NADH oxidase which also consumes NADH and oxygen, and the product methanol may also be further metabolized (Figure 3). An essential first step in Dalton’s solution of the problem was the development of reliable, unambiguous assay systems, that are still in use today. These did not use the obvious substrate methane but were based on the use of alternative alkanes whose oxidation by MMO depended on its exceptionally wide substrate specificity (3). These methods included the oxidation of bromomethane, whose disappearance was measured by gas–liquid chromatography (GLC), and the oxidation of ethylene or propylene, the epoxy products also being measured by GLC. Application of these methods led to a definitive description of MMO, using the enzyme purified from soluble extracts of the Type I methanotroph Methylococcus capsulatus strain Bath, originally isolated by Roger Whittenbury from the hot springs at the Roman Baths in Bath, England. This soluble MMO (sMMO) has subsequently been shown to be present several, but not all methanotrophs. It catalyses the hydroxylation of methane to methanol using NAD(P)H as reductant. It is made up of three components and, as with nitrogenase, sMMO contains metal ions. Resolution of this enzyme into its component proteins was a considerable achievement as only one of the components could be assayed independently of the other two. This was component C, now known as the reductase, a flavoprotein containing FAD and an iron sulfide centre as found in spinach ferredoxin and putidaredoxin. Component A is the hydroxylase and contains nonhaem iron. Component B, a coupling protein, is a small colourless protein. Component C transfers electrons from the donor NADH to the hydroxylase which catalyses the methane substrate using molecular oxygen (Figure 4). Fig. 4. The pathway of electron transfer between the components of soluble MMO during the oxidation of methane to methanol by oxygen with NADH as reductant. This requires the participation of three proteins A, B and C. This Figure is taken from the published proceedings of the 3rd International Symposium on Microbial Growth on C1 Compounds (3). About this time a three-component MMO was partially purified by John Higgins and colleagues from the membranes of a Type II methanotroph, Methylosinus trichosporium; the electron donor was NADH in crude extracts but it was necessary to use ascorbate or cytochrome c in purified preparations. The enzyme was relatively unstable and some results were not always easy to reproduce. It therefore appeared that there might be two different kinds of MMO or that there might be a single membrane-bound MMO in both types of methanotroph, but that it may be more readily released from its normal association with membranes to produce the sMMO. This confusion was eventually resolved by Dalton’s group in an elegant study using continuous culture, reminiscent of his work on respiratory protection of nitrogenase. It was shown that there are two completely different enzymes in Methylococcus capsulatus, the soluble sMMO and also a membrane (or particulate) methane monooxygenase (pMMO). Which enzyme is produced depends on the copper availability; pMMO is produced when the copper/biomass ratio is high whereas sMMO is produced when the copper/biomass ratio is low (5). In batch culture both MMOs may be produced as the copper/biomass ratio cannot be as well-controlled or defined (for revent review of the role of copper in methanotrophs see Semrau et al., 2010). Dalton’s group subsequently developed reproducible solubilisation and purification methods and showed that the membrane enzyme (pMMO) also has three components and that the two types of MMO are present in other methanotrophs, regardless of the membrane type. Some methanotrophs synthesise only a single type of MMO and in that case it is most often the membrane enzyme that is produced. Remarkably, the two families of MMO share no detectable similarity in amino acid sequence or three-dimensional structure. A remarkable feature of the MMOs, possibly related to their normal small, unfunctionalised methane substrate is their extraordinary wide substrate specificity, the sMMO having a wider range of substrates than pMMO. Substrates for sMMO include n-alkanes, n-alkenes, chloromethane, bromomethane, trichloromethane, nitromethane, methanol, carbon monoxide, dimethyl ether, benzene, styrene and pyridine (3). Remarkably, this enzyme is also able to oxidize ammonia, whose structure is clearly analogous to that of methane. When whole cells are used a source of reducing equivalents must also be provided (such as methanol or formate), in addition to the potential substrate. When this is required the oxidation of the potential substrate is referred to as co-oxidation. Dalton showed that because methanotrophs can co-oxidise a range of hydrocarbons and chlorinated pollutants they have a biotechnological interest that extends far beyond their ability to oxidize methane to methanol (6). Important examples include the industrial production of methanol from methane, the co-oxidation of propene to epoxypropane, bioremediation of chlorinated hydrocarbons and production of valuable recombinant proteins using methane as the starting material. This interest in biotransformations stimulated his later interest in biofuels. He was consultant for the New Jersey company Celanese and then joined the Scientific Advisory Board for the spin-out biotechnology company Celgene, which gave him considerable insight into chemical and industrial aspects of microbiology that he used to good effect in his biotransformation research. The wide substrate specificity of the methane monooxygenases made them obvious candidates as tools for catalysis of difficult chemical reactions that might lead to useful materials. Although Howard Dalton’s earlier work at Warwick was largely based on methane monooxygenases, after 1986 his research interests increasingly involved other types of oxidoreductases. In this he was encouraged by Derek Boyd at Queen’s University Belfast. They established a highly productive microbiology-chemistry collaboration which lasted about 20 years. The Warwick-Belfast link resulted in joint awards from UK Research Councils, European Union programmes and industry which funded projects on enzyme-catalysed chemistry in Warwick and Belfast resulting in forty two joint publications and three patents (6). At the outset of the collaboration (1986) they decided that, as demand was increasing for chiral synthons in both academic and industrial contexts, important objectives of the programme should include (i) development of reliable methods for assignment of structure and stereochemistry of metabolites; (ii) discovery of new types of cis- and trans-dihydrodiol metabolites; (iii) investigation of potentially competing toluene dioxygenase-catalysed reactions; and (iv) evaluation of new applications of chiral metabolites in chemical synthesis including chiral ligands. The majority of the biotransformations were conducted and analysed in Warwick, before being transported to Belfast for chemical analysis on an almost weekly basis. As a result of the Warwick-Belfast link, and of Howard being able to demonstrate by example, that it was now relatively safe to cross the Irish sea again, several people transferred their expertise from Howard’s laboratory at the University of Warwick to Queen’s University Belfast; Howard’s legacy, initiated in 1986 by the dioxygenase-catalysed chemistry link between Warwick and Belfast, is still continuing in 2015. Further development of Howard’s research on the methane monooxygenases was necessarily done in collaboration or was handed over to others in his group. 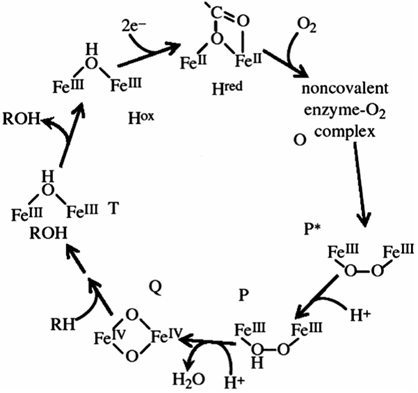 After the purification and characterization of the two main types of methane monooxygenase a major challenge was the molecular biology of their synthesis and regulation which was taken up and developed in Howard’s Department by Colin Murrell (for review see Murrell et al., 2000). The other major challenge was to elucidate their mechanisms and three-dimensional structures. Figure 5 shows the catalytic cycle of the soluble methane monooxygenase as determined mainly by the groups of Dalton, Lippard and Lipscomb and as described in Dalton’s Leeuwenhoek Lecture in 2000 (6).The structure of the soluble enzyme was mainly determined by Lippard’s group (for example see Rosenzweig et al., 1993). Howard’s contribution to our understanding of the structure of the membrane enzymes was achieved by a fruitful collaboration with colleagues in Manchester, UK and competition in USA. Figure 6 shows the beautiful structure of one of these enzymes. Figure 5. Principal intermediates during the sMMO catalytic cycle. This Figure is based mainly on the work of the groups of Dalton, Lippard and Lipscomb; it is taken from Dalton’s Leeuwenhoek Lecture 2000 (8) in which the significance of the intermediates is fully discussed. Figure 6. A three-dimensional (3D) structure, determined by electron microscopy and single-particle analysis at 23 Å resolution of a membrane methane monooxygenase (top left) from one of Howard’s last publications (7). In A and B It is shown superimposed on the crystal structure determined by Lieberman & Rosenzweig (2005). For a recent review of the structure and function of these enzymes see Sirajuddin & Rosenzweig (2015). extremely generous of his time with well over 100 PhD students and postdoctoral researchers and was a great mentor and subsequently loyal colleague for many of his researchers who remained in the field of C1 metabolism. He led a large and vibrant research laboratory where training in microbial physiology and biochemistry was outstanding. While working with Howard, science was fun and there were many social gatherings where successes such as award of PhD were celebrated. His “Thanksgiving Parties” at his house were also highly appreciated by all who attended, especially for some PhD students who were in need of a square meal. Howard Dalton was a very popular teacher at the undergraduate level and his witty and relaxed style inspired many undergraduates to study microbiology and to pursue microbiologically-related careers after graduating. In 1983, the School of Biological Sciences launched a Microbiology and Microbial Technology degree and Howard, together with his former PhD student Colin Murrell, who re-joined the Department that year as a lecturer, were instrumental in developing this innovative course, one of the first of its kind in the UK. Its popularity increased over the next 10 years or so, ensuring a new generation of microbiologists who were very familiar with the use of microbes (especially methanotrophs!) in biotechnology. Throughout the 1980s and 1990s, Howard led and gradually built up the Microbiology Research Group in Biological Sciences at Warwick until it was one of the biggest of its type in the UK, embracing multidisciplinary research in microbiology, often with an applied flavour. Upon Roger Whittenbury’s retirement, Howard subsequently became Chair of the Department of Biological Sciences in 1999 and was an effective and popular leader there until he was seconded to Defra in 2002. In 1973 a series of hugely influential International Symposia on Microbial Growth on C1-compounds was initiated by Roger Whittenbury and Rod Quayle and these have been held every two or three years up to the present time. In 1980 the Symposium was hosted by Rod Quayle and colleagues in Sheffield, the book of proceedings being edited by Howard (8), who twelve years later was responsible, with his excellent Departmental colleagues, for the 7th Symposium held in the University of Warwick (Murrell & Kelly, 1993). Howard had a great influence at these symposia by his direct scientific contributions and even more perhaps by his personality. He was excellent at chairing scientific sessions in a relaxed way that encouraged participation by students and the less experienced researchers. He energetically browsed his way through most of the posters, providing entertainment and encouragement (Figure 7). Figure 7. A. 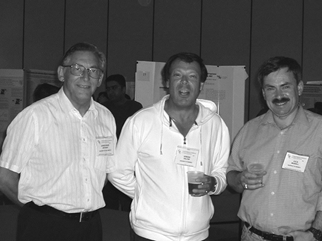 With the authors (Chris Anthony and Colin Murrell at the 8th International Symposium on Microbial Growth on C1 Compounds in San Diego in 1995. 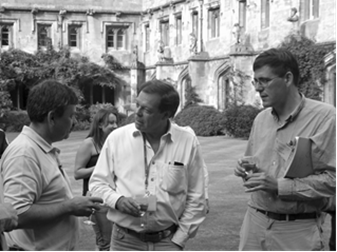 B Howard at a Gordon Conference on the Molecular Basis of Microbial One-Carbon Metabolism in Oxford in 2006, chatting with his colleagues Colin Murrell (left) and Tom Smith. 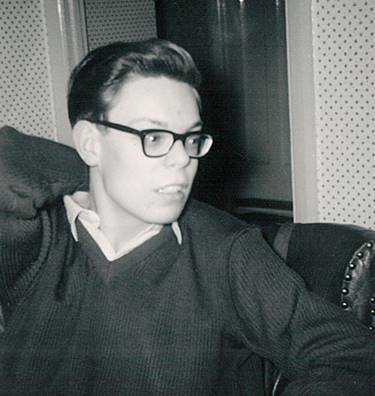 Howard was a down-to-earth, self-effacing man, outgoing and witty and in the 1980s was a ‘leading light’ at gatherings of the staff of Biological Sciences at Warwick in weekly socials at local pubs (code-named ‘Choir-Practice’!). He also enjoyed the occasional ‘poker-night’ with selected colleagues who invariably relieved him of his hard-earned cash. Howard’s enthusiasm for, and extensive knowledge of, Japanese gardens was also brought into play on campus, resulting in the creation of two fine gardens at Warwick. A great passion was real tennis and he was a member of Leamington Real Tennis Club where his competitive spirit, guile and ability won him many tournaments. It was here, while playing in a friendly doubles tournament, that he tragically collapsed and died on 12th January 2008. He was a fanatical Spurs supporter and a highly competitive member of the Biological Sciences football team, aptly names ‘Biohazard’. In the 1970s Howard performed with distinction in the ‘Biohazard’ team that played a friendly match with the Saudi Arabia national team, thereby adding to his illustrious international career. He also loved village cricket, turning out for a variety of local sides as a wayward but explosive fast bowler. Once, representing the nearby village of Rowington against admittedly inferior opposition, he took eight wickets for a miserly fifteen runs, the highlight of his cricket career. Howard served as the Chief Scientific adviser at Defra from March 2002 to September 2007. He was the first departmental Chief Scientific Adviser to be appointed by Sir David King, who was then Chief Scientific Adviser to the Prime Minister. The newly-created Defra had risen from the ashes of the beleaguered Ministry of Agriculture, Fisheries and Food, which was widely criticised for its handling of the BSE crisis and the 2001 outbreak of foot-and-mouth disease. Howard did not enter an easy atmosphere. "It was a very inward-looking department that didn't make use of scientific resources outside," Sir David recalled. Over the next five years, Howard transformed Defra’s use of science, seeking to instil scientific rigour into policy-making decisions based on sound scientific evidence. Howard led the scientific advisory team generating the UK contingency plan for dealing with avian influenza virus and was instrumental in raising the profile of climate change as a significant threat, delivering lectures on this and other topics such as biofuels and GM crops at many national and international meetings. The following section has been kindly provided by Dame Helen Frances Ghosh, DCB, former Permanent Secretary, Defra. As Permanent Secretary at the Department for Environment, Food and Rural Affairs between 2005 and 2010, I had the privilege of working with Howard for almost 2 years. Defra is a Department whose work is grounded profoundly in science, in its broadest sense: global climate to local conservation, farming and food, waste and pollution and, probably most famously natural and sometimes man-made disasters such as flooding and animal diseases. All of these involve the most fascinating range of science, and though politicians might sometimes have found it challenging, science had to underpin all the policy that we made. Howard’s work with us gave us a sure and secure – and in many areas world renowned - basis for those decisions. No sooner had I arrived than Howard disappeared – to Antarctica. So the first image of Howard that is imprinted on my mind is a photograph of him at the bottom of a crevasse in Antarctica, reporting back to us and the public via his wonderful blog. Howard was an engaging and energising communicator within Defra and outside, of the excitement of science and what it could do for us. Howard was the first of Sir David King’s new wave of Departmental Chief Scientific Advisors, whom he hired to be to be independent, authoritative and as their title suggests challenging. These pioneers were asked to focus their attention on evidence-based policy making, and on ensuring that evidence was comprehensive, rigorous but above all, used. Dave King also gave them the commission – when not fire-fighting on the day to day - to make space for horizon scanning. The programme that Howard set up on his arrival focused on all these things – making sure we were doing the right science through horizon-scanning, developing a science strategy, making sure we were commissioning sound and relevant evidence, and then making sure we were using it. Howard’s decision to set up a Science Advisory Council to support us on all this was inspired. Initially its membership was predominately focused on animal disease issues which had provided the impetus for his role – and indeed the creation of Defra – in the first place. But over time its focus has expanded to the whole range of Defra science – including social science. And it has played a vital role in quality ensuring our science as a whole and also giving us immediate access – particularly in an emergency - to a range of the most distinguished scientists in their field. It was the envy of other government departments, and a number followed our example. From this concept of what his job was about, Howard pulled together a first systematic account of the science that Defra should do – the Science and Innovation Strategy – which we called “Delivering the Evidence”. Miles Parker has reported to me that at the end of the long day of the launch of this strategy , Howard referred to it serendipitously as “delivering the elephants”. Defra of course does have to deliver elephants, but not quite as Howard meant. That first strategy was followed a few years later by a second, ground-breaking, Evidence and Innovation Strategy. By then it was clear that public spending constraints meant that there was no question of just carrying on with established patterns of science spend in the Defra budget, however beloved those might be with particular lobby groups, customers or – dare I say it – elements of the scientific establishment. Howard bravely argued that our spend needed to be refocused towards the issues of the day: to climate change and protecting the natural environment against the worst that humans could throw at it. That legacy lives on. So far, so dignified and strategic, but of course what Defra gets most coverage for – however distinguished our achievements across the range of our responsibilities – is dealing with emergencies. And Howard was always there when we needed him. Howard provided a major support to the Chief Veterinary Officer on a range of animal disease issues where his virology background and networks were used to great effect. He and CVO Debby Reynolds – particularly during the first few outbreaks of Avian Influenza in this country – would spend long hours closeted with Dave King and sometimes in Number 10 Downing Street, discussing the detailed science of the viruses with which we were dealing. Bovine Tuberculosis was another subject for these scientific conclaves. But Howard also had to turn his hand to the other kind of emergencies with which Defra – which we sometimes felt should be called the Department for Plague and Pestilence – had to deal. So plant disease, radioactive waste, Buncefield, oil pollution, shellfish poisoning all got his attention and the benefit of his scientific experience and habits of mind. If he didn’t know the answer himself he generally knew a woman or man who did. When these emergencies break out, the support of the whole departmental team is vital. If my first memory of Howard will be the picture of him in Antarctica, probably my last mental image of him will be as he stood next to me at one of our early morning “bird tables” in our National Disease Control centre in Page Street, in the early days of 2007’s outbreak of Foot and Mouth Disease. He and his wife had been in Africa when it broke out, but without a moment’s apparent hesitation he came back, because of luggage delays more or less only in the clothes he stood up in. He rapidly became an expert in the civil Service’s complex rules for financing purchase of new clothes in these circumstances, so that he could have another shirt to wear while he got his own washed! But he was still his normal optimistic, enquiring and energising self, and made a real contribution to the emotional resilience of a team under a great deal of pressure. Miles Parker, our Director of Science who probably knew him better than any of us has commented to me, perhaps euphemistically, “that Howard was not the most enthusiastic bureaucrat.” Despite more than 25 years as a civil servant, I think that’s a real accolade. What Howard brought was not just a new confidence and seriousness to Defra science, but also an infectious and vivid way of communicating his passions. The Antarctica blog was I think a first for any Whitehall scientist, and really caught the public imagination. When Howard decided to retire from his Defra role in 2007 and return to his work at Warwick on a more full time basis, it was a challenge for all of us. But by then and thanks to Howard, we knew what good looked like, and we were lucky – no, not just lucky, because I benefited from Howard’s wise advice in the process – to be able to attract a worthy successor in Professor Bob Watson. Howard left Bob a great legacy, which was epitomised in the excellent review of Defra science carried out by Dave King and the Office of Science and Technology shortly before the end of Howard’s term with us. Before I left Defra, I established a new award at our sports day, in the memorialising tradition of my (all male) predecessors. Rather than call it the Helen Ghosh Cup, I decided that it should be the Howard Dalton Trophy, for the person who was the best overall performer on the day. 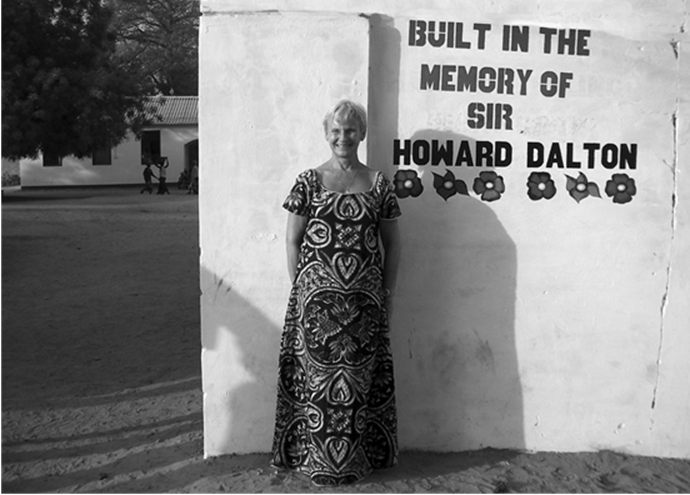 Howard will have lots of memorials – here in the UK and in The The Gambia – but I thought that this would be one that would entertain and please him. I can just imagine him smiling – perhaps slightly embarrassed – at the idea. In 2010 the inaugural event for the annual Howard Dalton Lecture was launched by Defra. This not only commemorates Defra's late Chief Scientific Adviser Professor Sir Howard Dalton FRS, but also serves to acknowledge and celebrate excellence in science and policy. But the greatest memorial to Howard’s work in Government is the legacy he gave us of sound science and science at the heart of policy making. The best tribute we can pay him is to defend and protect that legacy and continue to work within the principles to which he was committed. We are very grateful to Howard for all he did for us in Defra and in Government, and to the University of Warwick and to his family for lending him to us. Kira says that when she decided in 2000 to give up her work as a self-employed management consultant she went to The Gambia ‘looking for a project’. After meeting the headmistress of a village school at Niumi Lamin on the North bank of the Gambia river she set out to raise money in the UK for various school renovations, including fencing, toilets, roofing and furniture. During the next few years she visited for two to four weeks a year, while raising money in the UK. Howard became very interested after he visited for the first time in about 2004 and subsequently they bought a small bungalow where he set up an observatory and viewing positions for his latest hobbies, astronomy and bird-watching. About this time James Holden had become interested in starting some charitable work in Africa and appreciated that he needed someone on the ground who could be trusted to deliver on whatever he decided to do. As he says “the very person was to cross my path in the most unlikely of places –the Leamington Tennis Court Club”. Although limited to male players, Howard had persuaded them to permit Kira to put on a series of talks at the club on Leamington’s history, with all proceeds going towards her school in The Gambia. This led to an invitation to James to visit, which he did in November 2004, escorted by Kira and Howard to Niumi Lamin, bringing much-needed cash that he had raised in his church in Claverdon, near Leamington, together with a large quantity of medicines. When he returned to Warwickshire he decided to start a formal charity to support the work in The Gambia. Kira had appreciated by this time that it would be sensible to start a registered charity for the sake of Gift Aid and better credibility. Thus was born the charity The African Oyster Trust (http://www.africanoystertrust.co.uk). Kira says that since the administration involved did not really appeal, it was very fortunate that James Holden had the resources and the patience to do the painstaking procedures involved in all that side of it while her interest was always with the hands-on interaction in The Gambia - especially with the young children. While Howard was very busy with Defra he loved coming out to The Gambia for a rest, staying at their bungalow. During this time he sponsored his own football team of village youngsters, whose side rejoiced in the title Brufut Hotspur, in tribute to his north London heroes Spurs. In 2007 Howard was asked to provide advice regarding Gambian water policy through a contact at Defra, Pa Ousman Jarjue who is now Secretary of State for the Environment in The Gambia. Howard was still in the process of doing this when he died. The other project which caught Howard's interest was the creation of a health centre up country in Jappineh – where a nursery school had already been established. A Dutch charity had begun some building work before running out of funds. They had not got around to finishing or furnishing` the place with equipment, medicines or staff. Through speaking to various contacts in the UK and America he was able to obtain large donations to complete that project; it is now fully established as the Howard Dalton Clinic (Figure 8), supported by generous donations made in his memory after his untimely death. Howard was always supported by his happy family; Kira and their children Amber and Jed. Kira continues to live in Warwickshire in the summer while spending much of her time working with the African Oyster Trust in The Gambia. Amber lives in Peckham with her husband and two children Huxley Howard and Inez; she is a magazine editor and restaurant critic as well as organising food and wine tasting events. Jed lives in Esher with his wife and their children Rosie, Henry and Aja; he runs a company which provides software consultancy to energy companies. He also enjoys playing real tennis at Hampton Court in his spare time. Howard was an enthusiastic supporter of the Society for General Microbiology (SGM) (now the Microbiological society) in the UK; he served on the Council of the Society from 1985 to 1989, and became its President, serving from 1997 – 2000. The Council of the Society decided that it would use a bequest from Howard to support attendance at an SGM meeting by a microbiology student from The Gambia, where Sir Howard and Lady Kira were involved in educational activities. Council also decided to rename the Young Microbiologist of the Year Competition, which fosters science communication in early career microbiologists, in honour of Sir Howard, the prize now being the Sir Howard Dalton Prize and Fellowship. Leeuwenhoek Medal and Lecture, which was established to award excellence in microbiology; his lecture was titled “The natural and unnatural history of methane-oxidising bacteria (6). He served as President of the Marine Biological Association from 2007 to 2008 and as President of the Society for General Microbiology from 1997 to 2000. He was named a Knight Bachelor in the 2007 New Year Honours list for his services to science. We should like to thank Derek Boyd, Howard’s collaborator in Belfast for his help, Dame Helen Ghosh for her contribution about Howard’s time at Defra and Lady Kira Dalton, Amber and Jed for their enthusiastic encouragement in the production of this memoir. Anthony, C. 1982 The Biochemistry of Methylotrophs. Academic Press: London, 430 pages. Murrell.J.C. & Kelly.D.P (1993) Microbial Growth on C1 Compounds. Andover, Intercept Ltd.
Murrell, J. C., McDonald, I. R. and Gilbert, B. (2000) Regulation of expression of methane monooxygenases by copper ions. Trends Microbiol. 8, 221–225. Rosenzweig, A. C., Frederick, C. A., Lippard, S. J. and Nordlund, P. 1993 Crystal Structure of a bacterial nonheme iron hydroxylase that catalyzes the biological oxidation of methane. Nature 366, 537–543. Semrau JD, DiSpirito AA, Yoon S. 2010. Methanotrophs and copper. FEMS Microbiol Rev 34:496-531. Sirajuddin, S. and Rosenzweig, A. C. (2015) Enzymatic oxidation of methane. Biochemistry, 54, 2283-2294. Trotsenko, Y.A and Murrell, J.C. (2008) Metabolic aspects of aerobic obligate methanotrophy. Advances in Applied Microbiology 63, 183-229. 1. Dalton, H. and Postgate, J. R. (1969) Growth and physiology of Azotobacter chroococcum in continuous culture. J. Gen. Microbiol. 36, 307-319. 2. Dalton, H. and Postgate, J. R. (1969) Effect of oxygen on growth of Azotobacter chroococcum in batch and continuous culture. J. Gen. Microbiol. 54, 463-473. 3. Colby, J., Stirling, D. & Dalton, H. (1977) The soluble methane monooxygenase of Methylococcus capsulatus (Bath): its ability to oxygenate n-alkanes, n-alkenes, ethers, and acyclic, aromatic and heterocyclic compounds. Biochem. J. 165, 395–402. 4. Dalton, H. (1981). Methane mono-oxygenases from a variety of microbes. In Microbial Growth on C-1 Compounds. (H. Dalton, ed. ), pp 1-10. Heyden & Son, London. 5. Stanley, S. H., Prior, S. D., Leak, D. J. & Dalton, H. (1983) Copper stress underlies the fundamental change in intracellular location of methane monooxygenase in methane-oxidising organisms: studies in batch and continuous cultures. Biotechnol. Lett. 5, 487–492. 7. Kitmitto, A., Myronova, N., Basu, P. and Dalton, H. (2005). Characterisation and structural analysis of an active particulate methane monooxygenase trimer form Methylococcus capsulatus (Bath). Biochemistry 44, 10954 – 10965. 8. Dalton, H. (Ed) (1981) . Microbial Growth on C-1 Compounds, Heyden & Son, London.